Community banking is all about the community, and that's why we pledge to invest 10% of every dollar we make back into our community. We also pledge to be worthy of your business by offering a comprehensive suite of support services. With CDs from 90 days to 7 years, you have the flexibility to better manage your CD portfolio. Ask us about our current rates. 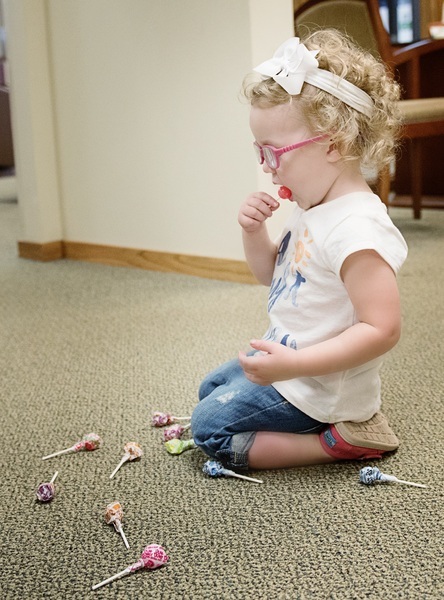 A traditional IRA from Jonesboro State Bank is safe and will never lose its value. For qualifying tax payers, money deposited into a traditional IRA is tax deductible, and the income taxes are deferred until you withdraw the money at a later date. Contact us for more information. Account alerts allow you to receive email and text notifications of important account related activities and messages. From your online banking, click on the "Notify Me Alerts" tab. From there, you can set up account related alerts, messaging alerts, or security alerts. Account alerts are a great way to stay connected and keep you in control. Send payments to anyone in the U.S. Easily manage your finances with the help of Quicken® or Quickbooks®. 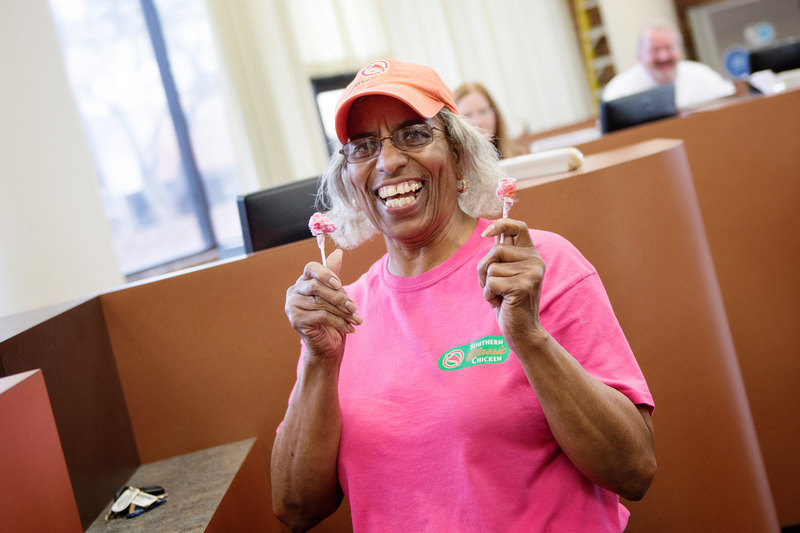 Jonesboro State Bank offers both Web Connect and Direct Connect options. With Web Connect, you can download your account history straight in to Quicken® or Quickbooks® from your online banking history. With Direct Connect, we make it even easier for you. 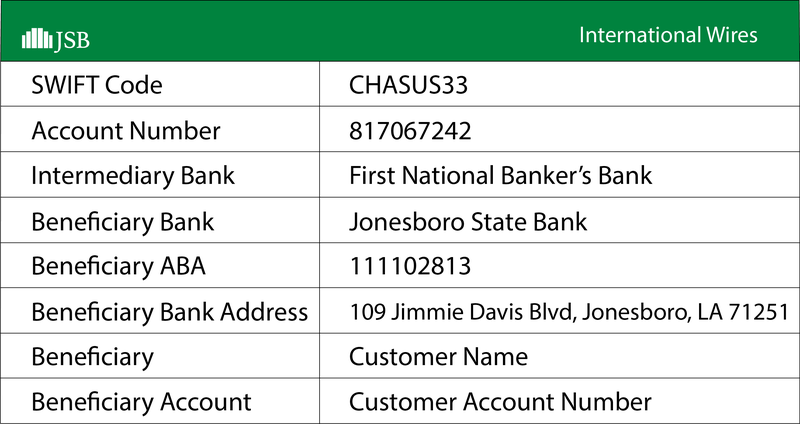 You can open your account history directly from Quicken® or Quickbooks® without the need to ever log in to your Jonesboro State Bank online banking. 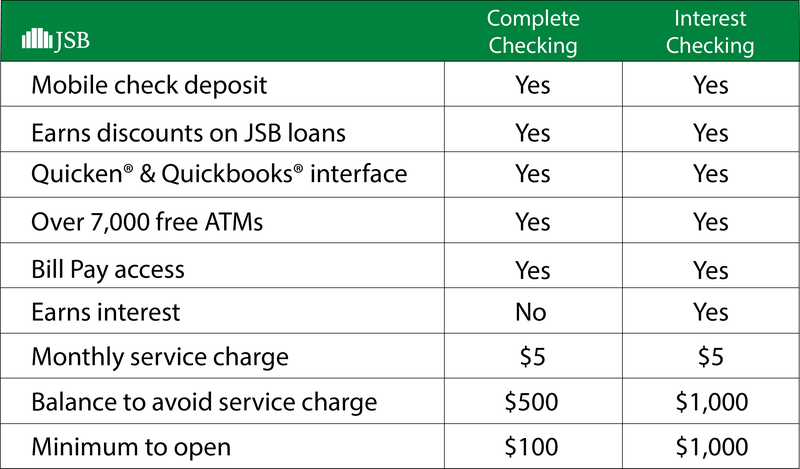 Configure your accounts to make smart transfers automatically based on your account balances. Smart transfers can be used to maintain a minimum balance in an account. They can also be used to transfer excess funds from one account to another.